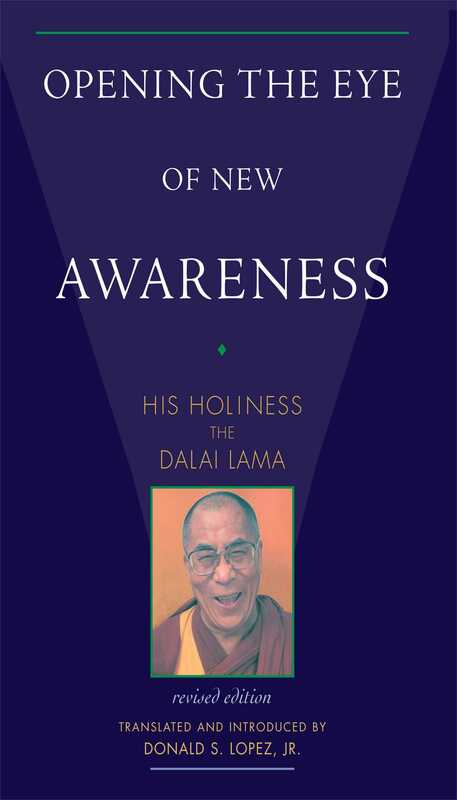 Opening the Eye of New Awareness is a succinct, thorough overview of the doctrines of Buddhism as they have been practiced for a thousand years in Tibet. The Dalai Lama here discusses the need for religious practice and the importance of kindness and compassion. Originally written for Tibetan lay people, this was the Dalai Lama's first book on Buddhist philosophy to appear in English, and Prof. Lopez's new introduction places these teachings in their proper historical context. This is an invaluable handbook for both personal use and academic study of the Buddhist path. "Written for both Tibetan and Western readers, Opening the Eye of New Awareness is the Dalai Lama's first religious work. It is not an edited transcript of public lectures, but is His Holliness' own summation of Buddhist doctrine and practice. Completed in 1963, just four years after his escape from Tibet and four years after completing his religious education, it is a work of consummate scholarship by a twenty-seven year-old geshe, wise beyond his years. Nowhere in his many subsequent works does one find a more clear and concise exposition of the essentials of Buddhist thought. Indeed, all of His Holinesss's many publications are in some sense commentaries on this first book." "...an excellent and original synopsis of Gelukpa doctrine for serious students of Tibetan Buddhism." "...a remarkable work, providing a compendium of Buddhist doctrine and practice that is both dense and rich, serving both as a summation of knowledge and as an invitation to further study. Nowhere in his many subsequent works does one find a more clear and concise exposition of the essentials of Buddhist thought. All of His Holiness' many publications are in some sense commentaries on this first book." "It must be noted that this is not, as in the case of many works attributed to the Dalai Lama, merely an edited transcript of a public lecture, but a complete, singularly authored work introducing the Buddhist doctrines that have been practiced for thousands of years in Tibet... this new translation revitalizes the original teaching while more fully placing it in an historical perspective. A remarkable work worthy of a new look." "A very highly recommended work of Buddhist scholarship, wisdom, and compassion."